Brill “music coffee bagels” is an informal little place for decent coffee in a street full of decent places. Two tables inside and three out mean there’s not much space, but it’s a nice vibe – very bohemian. 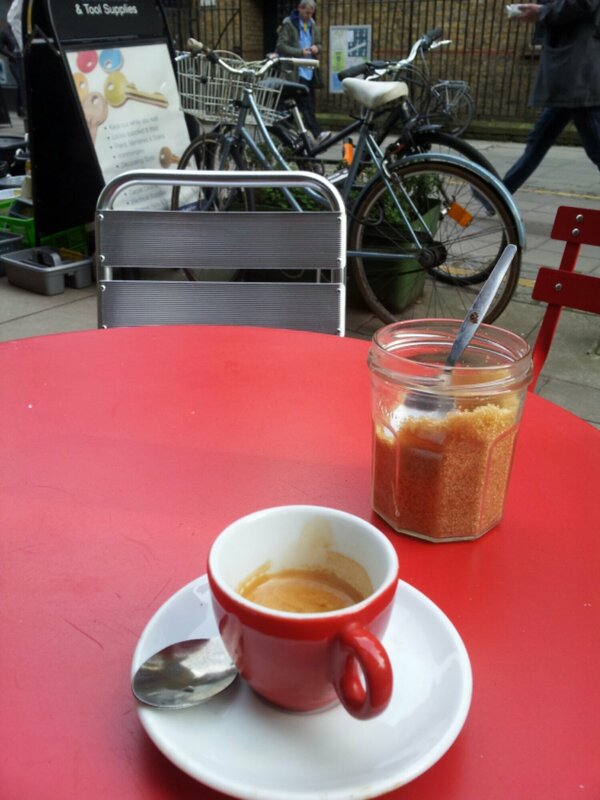 Posted on February 17, 2014 October 11, 2015 by espressolovinPosted in North LondonTagged Clerkenwell, Exmouth Market, music, records, Sadlers Wells.